After almost a year I did it again. After a nice shower in Harlem. It was so nice, that I started to think about mics. Big, long, black mics. Here I present a little Python script I wrote to resample 48kHz audio files to 44.1kHz (16 bits). 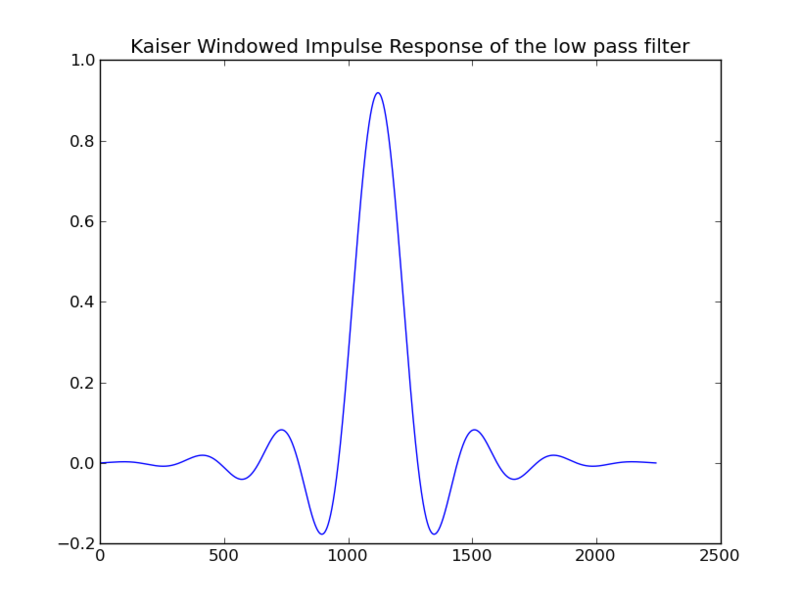 As you can see, the lower ribs are smoothed out compared to just a impulse response (rectangularly windowed), so that the aliasing will be much more silenced using this Keiser Window. More information in the great article by Julius O. Smith on resampling. 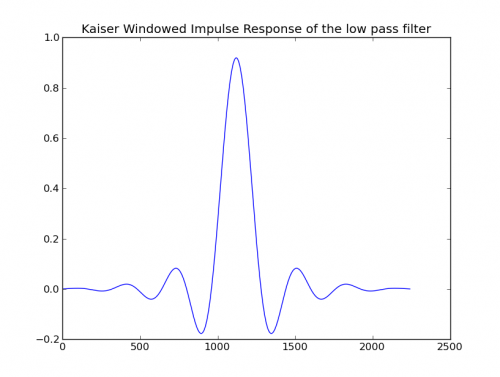 To apply the filter, I used an algorithm based on the “efficient polyphase filter bank with resampling” found on page 129 (Figure 4.3-8d) of the book “Multirate Systems and Filter Banks” by Vaidyanathan. The code is fully documented. If you have any comments or questions, or find any bug, please let me know. Oh, and just to let you know: Python is the next and much better version of Matlab. I’ll keep you posted titans.